At Sunset Mobile Home Sales, we are proud to offer our customers the highest level of professionalism, expertise and personal service. All of our mobile home agents are qualified and committed to excellence in serving our clients. Click on an agent below to see all listings by that agent. I highly recommend Beth Durner and Sunset Mobile Home Sales if you are looking to buy or sell a mobile home. We listed our mobile home with Beth 2 weeks and 2 days ago. We closed this morning. Beth is very energetic and works hard for her customers. She is warm and friendly, while being very professional. She is very knowledgeable. The whole experience was wonderful. Made finding and purchasing our new mobile home a pleasure. Shr aided with negotiations and followed through by getting mobile home registered and delivering our stickers. Michelle I wanna really thank you for how much you did for me. I know with stuff with my health conditions but we found me the right home and I wanna thank you so much you did a fantastic job. I love my new home. Michelle you said the property would sell quick and it did!! Frist Buyer! You are a Pro with all the right details and always have a positive attitude. I highly recommend Michelle for your real estate needs. She went above and beyond my expectations! She was persistent and persevered through some difficulties that came about from the management of the park the home was listed with. She gave recommendations to highly skilled and professional proper when I needed some repairs.She responded promptly and was an excellent negotiator. I will be using her again as I am an investor and she is by far the best realtor I have used so far! Michelle was very easy to work with. She had my place sold in the time frame she stated. I had other realitors that did not communicate. Michelle always responded back within a resonable time frame. She knows her stuff! Michelle Waldron is a fantastic agent. She got the job done selling our mobile home. Would recommend her for any sale. She is friendly and professional and works hard to get the sale. Thanks Michelle for everything. Michelle Waldron was wonderful. I needed to sell my Mobile Home in a hurry and boy did she come though. She sold my home in 24hrs. I was in shocked that it happened so fast but I was very happy that she worked with me to get it done. She was very professional and very kind. I have and will continue to recommend her to anyone that needs to sell or buy a home. Thank you Michelle your the best. Michelle helped us sell our mobile home which had been listed with the “in park”sales office for several months. Obviously the big corporate park was more interested in selling their own properties. Michelle was always very professional, knowledgeable and easy to work with. I had worked with others and wasn’t happy until I met Michelle. I knew immediately that she would get my mobile home sold, and she did! I will recommend her to anyone who is looking for a mobile home realtor without a doubt. Couldn’t be happier from start to finish. Ms. Michelle Waldron could not have been better during the sale of our home. She listed it, took excellent pictures, priced it accordingly, and solid in a short time. I would enlist her services without hesitation and recommend ta all if they want good representation, constant communication, and appropriate follow up when selling or buying in this area. Michelle was always prompt,professional and courteous. After showing me one mobile home in the price range I set. We talked and she recommended a different home in a different park,I bought that home .I believe Michelle listened to my wants and needs and helped place me in the best park at the low end of my price range.I would recommend Michelle to any one,any time. She is positive, professional, and understands the market. Would recommend her without any hesitation for buying or selling. She was able to sell our home within a short period of time. Just an awesome pleasure to do business with.. Very knowledgeable, professional and a great personality. Always immediate responses to all questions or concerns.. Kept us totally informed of the transaction from day and even after the transaction was completed. She was very tuned in to our wants and needs. She and her staff were on top of the sales throughout the whole process. We moved from Massachusetts and did not know the ownership process for Florida. If I was interested in purchasing a new home Michelle would be the first person I would call. Michelle was a pleasure to work with. She was happy to help us find the perfect home that met our needs. She also helped us to expedite the process so we could meet other obligations we had on our schedule. I would highly recommend her to anyone seeking to purchase a home in a senior community. She has extensive knowledge of all the local senior communities, and she knows the specific benefits each one provides. If you are thinking of buying or selling, I can’t think of anyone who will work harder to help you achieve your goal! We have moved numerous times throughout our life and it is always stressful. However, if you find a good agent it can make a lot easier. We were very fortunate to have run into Michelle Waldron when we came to Florida!! She went above and beyond to help us obtain our first residence here in the sunshine state. So when we were ready to move we called her again. She works just as hard when you are buying or selling your home to help you. Very knowledgeable and awesome to work with!! If we move again, would definately call Michelle!!! Michelle was very professional. The mobile home sold quickly. She was helpful and followed up quickly with any questions I had. Michelle is a proven professional to me. Michelle turned over my property in short time. She doesn't make a move without keeping you informed. Delivers results. Michele was so instrumental in helping me to sell my father's property. She was very prompt in letting us know what was going on, especially since we live in Pennsylvania. She found the perfect fit and we are so grateful. Michelle Waldron was very prompt responding to our calls and connecting with us. She is personable and professional. She is very knowledgeable and not pushy. Michelle Waldron was very prompt responding to our calls and connecting with us. She is personable and professional. She is very knowledgeable and not pushy. She showed us many properties that we wanted to see until she surprised us with the one we thought had sold, our #1 choice. We are proud homeowners, thank you Michelle. Would highly recommend her. I never thought my mobile home would sell as fast as it did. Michelle was always available for my questions and concerns. I would recommend Michelle to all my friends. Michelle was very professional and tried really hard to sell my mobile. She ran into problems with the park owner which was not her fault. Michelle was very professional and tried really hard to sell my mobile. She ran into problems with the park owner which was not her fault. I know she had to be frustrated, but continued to show my home whenever possible. I was very pleased with her. It was great! We thank you so much. The delays were not so good on my end but all turned out to be just awesome. Michelle was asked to help us in the sale of our home. It was quick and easy. We bought the home from her and needed a quick transaction. She delivered. Michelle is so awesome and dedicated, a hard worker, follows up and gets results fast. Very knowledgeable. What else can be said besides that she is awesome! She's your answer if you are buying or selling. As a recent arrival from Atlanta, I was unfamiliar with the Clearwater Florida area and also over-55 mobile home parks. Michelle Waldron patiently should be numerous homes in various parks, explaining the highlights and benefits of each home and community to me. After we had exhausted my list of homes I wanted to see, I was still undecided. She called me and let me know about a home that she thought I might be interested in And met with me that same day. It was my dream home! Michelle is the rep you want if you are in the market for a mobile home anywhere in the Clearwater area! Very satisfied! Michelle is very professional and she updates you on everything. She's very easy to work with. I highly recommend her for your realtor. Michelle came highly recommended by friends. They were correct. Michelle did a great job in setting up the presentation of my property. I am very pleased with her professionalism. Thanks Michelle for brokering the sale of my real estate. Michelle provided me with the most stress-free selling experience I've ever had. She began showing my home as soon as it was listed & took over EVERYTHING until I headed to the settlement table. All in less than a month! She is a true professional & comes highly recommended. Thank you Michelle! Michelle Waldron did an excellent job! She was very attentive throughout the process and beyond the sale offering help in anyway she could. I highly recommend her and will use her again. Michelle Waldron was excellent and thorough. Friendly, knowledgeable, listened to our needs. Easy to work with. Knew the areas. Very good with communication. Great experience from start to finish. Thank you for a nice experience buying with you as the agent! Michelle was great, informative and very helpful! Michelle is awesome! She works so well with her clients. She is very professional and keeps you well informed about the entire process. My mom is 87 and was very scared to sell her home. Michelle made things so much easier. I appreciate everything Michelle did during the sale of my mom’s home. If you are looking to sell your home, I highly recommend Michelle! Michelle was so nice to work with and our sale was so quick and easy! I highly recommend her and will definitely use her again if the opportunity arises. She was the agent for our home purchase in Hudson,FL. She was a pleasure to work with. Will use her again in the future.. She was very professional and personable. We had a wonderful experience with Michelle who helped up sell our home and purchase another. She was very knowledgeable,, kind, patient and truly a joy to work with. It was our pleasure and we would definitely call on her again. From the time that I called Michelle, she was very attentive to what I was looking for. Michelle was very professional thought-out my closing of my new home. I would recommend Michelle, and will use her on my next search. Michelle is a true professional. She patiently answered my questions, listened to my concerns and conveyed them to the seller. This enabled me to feel extremely comfortable with the decision to purchase my home. Working with Michelle was a pleasure...she listened to what i wanted and didnt waste time finding me a property i just love! She was always available to answer any questions. Always on time. Michelle was great. Very helpful finding our first home. Would recommend her. Michelle was great to work work she took care of everything we need in a timely manner. She was able to answer all of our questions right away. Beth sold my home fast and at top price. She was efficient and professional to work with all during the sale. She showed my home immediately and sold it within a week. She handled the closing as scheduled and delivered the check personally. I highly recommend Beth to everyone wishing to sell their home fast and at top dollar. Honest and direct. A pleasure to work with and gets good results. She knows the areas and local customs. She has handled 3 transactions for me and all were very well managed and sold successfully. Michelle has been nice to work with. We were able to keep contact with her with ease. She also has a very pleasant personage. Our conversations were never rushed and we felt comfortable asking questions, sometimes repeating ourselves because we are old you understand. LOL!!!! We are very excited to see our new winter home, and hope to have an opportunity to meet with her. Thank you to Michelle for the ease in our finalizing the sale. Lance Laursen did a phenomenal job selling my parents house. He went over the top to work with very hard circumstances. If you need your mobile home sold, please call Lance! Bill is the Best !! Bill West is a top notch professional and all around great individual. He went above and beyond to help us find our perfect piece of paradise. We couldn’t be happier with our experience and recommend Bill and Sunset MHS to anyone in the market of buying or selling a mobile home. Thank you Bill ! Michelle Waldron was a pick in the blind, but a great choice. Normally homes in our park are for sale years before they sell. Ours was too when we attempted to sell it ourselves. We made another purchase and had to sell it fast and Michelle rose to the occasion and sold it to the second person who looked at it. What a relief! Michelle went over and above! Michelle Waldron is amazing! She is very professional and communicative. My home was quick to get on the market and sold. Her photographer came out the next day after signing a contract with her. Within a couple of days she was bringing customers to view home. I really appreciated her keeping me informed of what the customers feed back was so I could make necessary improvements. Thanks Michelle. I would most definitely recommend Michelle Waldon. Michelle Waldron arranged for the sale of my Mobile Home. She was very professional and quick. We negotiated the price, and had a contract on the home within three weeks of listing the sale. I am very pleased with her work, and I would definitely recommend her services. Michelle was very professional, she was always on time for every meeting and very knowledgeably. When I sold a summer home up north, the realtor representative the buyer and seller, this left a bad taste in my mouth, I thought it was a conflict of interest. We talked about it and she let me pick my own home inspector, to make me feel more comfortable with the sale. If you are looking for a excellent realtor to sell your home or buy your home, Michelle is the person to go with. On a side note, I think she works too much. Michelle Waldron is on top of her business, quickly returning calls. She is patient, and understanding when issues delay getting the listing up. She is knowledgeable and informed as to what the potential buyer is looking for so as to sell your home quickly. It was great to have Michelle handle everything for the sale as we had to leave. Thanks for everything. Michelle, thank you so much for all your hard work. I will recommend you to anyone that is looking for a realtor to sell or buy a mobile in the area. You do awesome work and have a great disposition and personality! Michelle knew exactly what I wanted and needed and was totally on the mark in her home choice suggestion for me! She got it right on the first try!!! It was perfect and I bought it!!! Michelle was knowledgeable about the neighborhood and surrounding area and very professional while helping me purchase my beautiful new mobile home. I'm so happy with her assistance, I'm going to have her be my agent to sell my old property! We have sold two homes with Beth as our agent. She is always so easy to work with and very knowledgeable with facts that are important to help sell to potential buyers. We hope to maybe have further interaction with her in the future. Michelle is very knowlegeable of every aspect on real estate. She is also so very kind in meeting your needs. I recommend her to anyone looking for a new place to live !! She took the time to help get handymen, plumbers etc. for my needs. As I was sick during the move, she also ran and got me water and chicken noodle soup !! Above and beyond !! Michelle Waldron is very personable and professional. She has listed and sold many park models so knows her stuff! When there are problems, she steps right up and solves them. Bob saw us on short notice spent a couple of hours showing us some units for sale. He then worked tirelessly for over 2 months to find the unit we purchased. We trusted his advice and purchased sight unseen with no regrets at all. Bob is an open, honest and hard working guy and you won't go wrong with him in your corner. Michelle Waldron did an outstanding job selling my mobile home! Amazing, Mark sold my home in three weeks from my call to him an getting a check. This just before Christmas. Well done Mark. Michelle Waldron was a pleasure to work with. She was able to sell my mobile home quickly and with no stress. Highly recommend! Michelle has been nothing but professional during our entire relationship in selling my home! Not only did she sell it in just 2 months on the market, she sold it for more than I ever could have imagined! She's a hard worker and a very motivated Realtor with a SUPER personality and it was a true pleasure to work with her...I will highly recommend her to anyone I know interested in buying/selling their mobile home! Thank you SO much Michelle...you are greatly appreciated!!!! Michelle was very pleasant to work with and made the entire process stress free. She was very responsive to any messages left and made sure everything went as intended without any issues. I would highly recommend Michelle for any of your real estate needs. Michelle did an excellent job. Had used two previous realtors that didn’t do anything. I’d recommend her to anyone just as my friend did for me. Michelle Waldron was our agent and helped us find our home. She was pleasant and easy to work with. We will definitely use Michelle again should we need to find another home. Michelle Waldron did a wonderful job of getting our home sold in a timely manner. She also was able to get our asking price which was awesome. We will definitely call Michelle next time we need an agent. Best thing I could have done was to hire Michelle Waldron, can't thank her enough, she was knowledgeable and very professional. I will recommend her to everyone! Michelle Waldron was our agent and we appreciated her very much. She always got back to us with answers in a timely manner. She was always on time. She knew her stuff which made us feel confident. Michelle Waldron was our realtor and was very Professional, attentive to our needs and made the selling of our home a pleasant one. Thanks! Michelle was very helpful in working with us and with the Seller to help facilite a fast closing on our home. I would highly recommend Michelle to anyone seeking a mobile or modular home purchase. Want to sell your mobile home? Contact Michelle - she can sell it! She sold two of mine and got me a good price and pretty fast too, considering the market. fyi: Just make sure you list things that go and don't go with the sale. I have had the opportunity to work with Michelle in both buying and selling and i do and would recommend her to anyone looking for these services. Michelle is dedicated to doing what is right for both parties and works extremely hard for per customers. Very Nice et professionnel service, Thank You very much Michelle! Shed has good séance for busines And donne me répond very faste, I l'Ike Works with Michelle, My next buy or sell i will be too with Michelle. Took only two days to search, find the right place and have an accepted offer. Can't ask for more. She new the homes well and particularly the communities I was looking for. Michele came through for me in a big way. She was able to sell my mobile home for a great price and in a timely fashion! Thank you Michele for all your hard work! Michelle Waldron is the realtor to have when it comes to selling! She not only is very professional, extremely helpful and courteous BUT NOT PUSHY TO SELL! This is extremely important when dealing with a realtor. She was most helpful to me in this manner as I was selling my Dad's mobile home after his passing. If I ever return to Florida, I would call on Michelle without hesitation to be my realtor! Thanks Michelle-so very glad I got to know you and to work with you! Beth was a great help with the process of us purchasing our Florida home. She went above and beyond whether it be to answer a question or to check on something for us. She helped us make a long distance purchase possible!!!! Beth Durner made my life much easier when my home sold she is very pleasant to work with.She listed my property and it sold within 20 days.I actually got more than I had planned on.Whenever I need a realtor she most definitely would be the one I would contact. Michelle Waldron was great to work with. We ran into car problems when we came down to view the trailer park, which left us without a vehicle until repairs could be made. Michelle went out of her way to pick us up at the hotel. Everything went smoothly and we are now all settled in our new home. Great job! Thanks! Michelle Waldron was professional and efficient....would definitely work with her again in purchasing a home. Michelle did a great job! We live in CT and were selling a mobile home in FL. Michelle kept in constant contact letting me know about each prospective client. She made this sale as painless as possible. I would highly recommend Michelle Waldron to others selling property in FL. and we bought it and then she made it a painless process. Cheryl Lovely did a wonderul showing and listing our home. She is a very lovely person to work with. I would like to say that Cheryl Lovely, was wonderful to work with. She is honest, intelligent, has integrity and a wonderful personality. I would whole-heartedly recommend her. Cheryl Lovely would be my pick for agent if I decided to sell! Thanks for all her help, as it was the first time I have ever purchased a home sight unseen. As she can testify, I cried like a baby when I saw the property for the first time due to the excitement and relief that it was the perfect place. Michelle Waldron was our agent. She was great to work with and earned every penny we paid. If we ever move back, she is the only one we would consider calling! Michelle couldn't have been anymore helpful. She bent over backwards to help us in every way that she could, with us not living in the state. She would always call us back if we had any questions and we bugged her a lot. Michelle is very nice and professional. Made buying a home a great experience. Michelle Waldron did a great job and the process was smooth moving into my new home! Michelle Waldron was very helpful when I called her about a specific home that I had seen online. She was flexible with her schedule and I liked the home. The closing was fast and I am very happy with her assistance and my home in Kakusha MHP. Thank you, Michelle! Michelle Waldron was an amazing kind person who help us to find the perfect home. She took care of every detail, she was always on time. She dedicated all her time and attention to us when we were visiting the great amount of mobil-homes she had available. She made smooth, easy and fast all the negotiation of this house. She gave to us all the information we needed when we need it. We can say that we highly recommend Michelle for her professionalism, honesty and amazing temper. Over the years I have dealt with many Real Estate Agents, and I would class Michelle Waldron as one of the best I have ever had the pleasure to deal with. She took care of all the details for me and made the sale of my home easy for me. I would happily refer Michelle to anyone needing an agent. Michelle sold us our beautiful first home. She was highly knowledgeable about the home itself, very quick to respond and always was available to answer questions and be at the house itself as needed, and had several helpful resources for me even after the sale was finalized. Cheryl went above and beyond by helping us with extra paperwork and we were very pleased with her professionalism and performance. Would recommend her to anyone needing a sales agent. I am honored to speak about Cheryl Lovely. I consider my meeting Cheryl to be the best possible thing that could have happened to me. I am honored to speak about Cheryl Lovely. I consider my meeting Cheryl to be the best possible thing that could have happened to me. Cherly sold me and amazing property for an AMAZING deal. But more importantly Cheryl treated my daughter and me like true friends from the start. Honestly there are no words to express my appreciation and affection i feel for Cheryl, and those arent just words. I mean it with total sincerity. Cheryl is a class act and meeting her was a game changer for me. I will ONLY deal with Cheryl in the future and will insist that anyone i know, who is looking for a place, call Cheryl! Cheryl is a true professional. She sold our trailer in record time and made both the buyer and the seller happy. We have recommended Cheryl to several of our friends and she did not let us or our friends down. Cheryl was very helpful throughout the entire process. I was purchasing my place remotely, and Cheryl went above and beyond her duty to help me get everything done. Michael Panachelli was fantastic and is a huge asset for your company. He was very efficient and friendly sold our place in 2 weeks for full price. Selling our mobile home could not have gone more smoothly- thanks to Mr. Panichelli. He was able to find the perfect buyer for our home and in a short period of time. We are very pleased with the assistance we received. Would recommend his services to others. Michelle is the most amazing agent we ever met. We felt at all times that she was working with her heart to really help us to find the proper place for my parents. Michelle is not only and agent, she is an angel with such a high values and who cares about the client. Her work is impeccable and honest... is really hard to put in words..We just love her!. We highly recommend her. 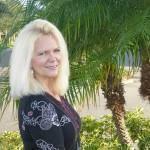 Michelle Waldron was an excellent help in selling our home in Florida. She was professional and also caring of our needs. I would recommend her to anyone as she was recommended to us. We were extremely pleased with the results. Beth Durner did a first rate job of selling our manufactured home in Florida. It took Beth less than a week to find a purchaser and to have the contract signed! We were impressed by the level of service she gave us. She was friendly, knowledgable, had excellent contacts and she made us feel that the sale of our home was important to her. We would highly recommend Beth to anyone wishing to sell their home. Bob was very helpful with my search to find a modular home that I was interested in the Hudson area. I contacted him on line with one that I saw on Zillow.com, he made the sale of the home very easy and I am now in my new home. Awesome job Bob. I just wanted to thank Bill West for helping me to find my home in Lincolnshire Estates. He was professional and friendly and I couldn't have asked for a better realtor. Beth Durner was fantastic to work with. 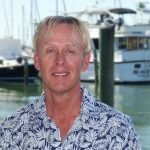 A true professional who went above and beyond to help us purchase our vacation home in Dunedin, FL. Beth Durner was fantastic to work with. 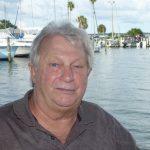 A true professional who went above and beyond to help us purchase our vacation home in Dunedin, FL. She continued to assist us even after the close of the sale, as we were new to the area and mostly conducting the purchase from our home in Tennessee. Bill was very professional and considerate, it was a pleasure working with him. We have already referred him to a few friends. Michelle was very friendly, efficient and professional during the entire transaction. She was always on time for meetings and took care of all relevant documentation in a timely manner. I would not hesitate to recommend Michelle to anyone who wants to buy or sell a mobile home. When my husbaand and myself decided to list our mfg. home, we thought we would be in it for a long selling time and we actually thought that we would just "try" to sell to see if we got anyone interest. Michelle listed our home and in less than 24 hours brought in the subsequent buyer who made an offer on the spot. Michelle even helped us find an RV Park to tkae us in on such short notice. We were obviously very happy and would use her services again. I had Beth sell my mobile home and she was extremely professional, always returned my emails or telephone calls promptly. She had my property sold within 2 weeks and I couldn't have been happier with the outcome. When it was time to sell my mobile home, I wanted a company that had proven sales and several of my neighbours had dealt with Sunset Moble Home Sales. I contacted Bill West and discussed listing with him. Bill was very easy to deal with and available to answer all my questions. He found a perfect match for my unit and I would not hesitate to recommend him to anyone interested in selling or buying a home. Thanks, Bill. Michelle was very helpful in helping me find and purchase my home. Beth was always very professional and extremely helpful. Made the transaction so much easier for us - took care of everything. Beth Durner has been a great realtor for me in that she was very understanding of my predicament and gave me very quick results. My husband fell ill and subsequently passed and Beth was like a friend to me as well. She is a very kind and compassionate person and I would think an asset to your company. Beth Durner has been an excellent sales agent for us both in the original purchase of our home, and then in the recent sale of that home. She helped us set a realistic asking price and then delivered several well qualified buyers and most importantly closed the sale. We would recommend her highly to anyone who is buying or selling a mobile home. Sydney Ladner did a fantastic job selling our home. She had it priced right and the first lady to look at it bought it ! Sydney was very professional and a lot of fun to work with. I highly recommend her. Michelle Waldron recently helped us purchase our beautiful mobile home in Dunedin, FL. Michelle is knowledgeable, professional, friendly and reassuring. This was a big step for us, and she made it easy and stress free! If we ever decide to sell, she will be the first person we will call! Bianca Raponi was excellent and informative. We really appreciated her guidance and willingness to help us in our adventure to look for a mobile home. Bianca Raponi was excellent and informative. We really appreciated her guidance and willingness to help us in our adventure to look for a mobile home. She is very deserving of a review!! Bill West did an absolutely fantastic job!! Got my price when I had no hope. Thank you, thank you. So, I bought this MH to help out my lady friend's friend, who was a wacko. I tried to get rid of it myself, to no avail. Bill West came in sold it fast and easy. Good job Bill! Our agents name was Sydney Ladner and we loved her, she was so nice and very honest. I only had a limited time frame to fine a home, and Sydney did it ! I really liked working with her ! Very Very happy with my service, Thank You ! One of the "Best" things Sydney is good at is Hard Work. From the start when I contacted her was her return phone call. That started a "Chain" reaction of advertising, pictures and just plain getting the word out that my mobil home was for sale. Not long after that 1st meeting, my home was sold. I was very impressed, thankyou so much Sydney. Sydney did a excellent job in selling my home as well as finding me a new one. She is a very upbeat person. Would definitely use her again! Michelle Waldron Excellent service sold for our asking price . Michelle Waldron did an amazing job selling our home. On the first day, she took pictures and listed it and the second day, showed it and sold it! Everything was taken care of in a timely manner with no trouble or inconvenience to us. We appreciate her professionalism. My wife and I made the decision to move to Florida. In doing so, I spent a lot of time doing online research. We narrowed down our location to Largo. I saw a listing from Sydney Ladner. We contacted her to get more details. We could not have been more pleased with her willingness to help us out. Living out of state was quit difficult for us, but she made it very easy on us. Our Daughter lives in St. Pete, so Sydney made contacted her to do the initial walk through. As well on her own she went back to get some more measurements and photos I requested. She Totally went out of her way to accommodate us. She is very knowledgeable in what she does. As well as very professional. She made the purchase very easy and quick for us. We felt very fortunate to have selected her for our agent. We would recommend her very highly. Thanks Sydney. You're the best. Sydney Ladner was an awesome representative of your company and she knocked it out of the park for me. I will definitely use your company again because of her. Very satisfied. Thank you. Sydney went above and beyond to take care of our search for a mobile home for my brother. She responded quickly to my phone calls and drove over an hour to meet and show us places on an early weekend morning. She spent all the time we needed with us and we found the place we were looking for. She took our bid and just a short time later, came back with the price we wanted. She was honest and very professional. We would highly recommend anyone searching for a mobile home to call Sydney. Michelle Waldron was great to work with - she made the whole mobile home buying experience simple and pain free. I would recommend her and use her again. Michelle provided excellent service in my search and purchase of a home. She was there for me in every step of the process. I would highly recommend her to others. Michelle, - We were very pleased with your performance in selling our Mobile Home. It was certainly very professional and also you were always considerate when showing our please to prospective buyers. We will be happy to spread the word to all friends that might also be interested in re-locating. Michelle was a true professional all the way. Totally dedicated to selling my place quickly and she achieved just that. Very pleasant great demeanor excellent communication couldn't have asked for a better agent. Thank you very much Michelle you are a lot of help. First time buyer. I saw a add on mhvillage.com and I contacted Sydney. She showed me several homes that are for sale in the area that I was interested in. I picked which one I liked the most and bought it. I didn't know much about the process of buying mobile homes, but she helped me through it. She answered all my questions promptly and I am excited to own my first home. Michelle was great!! She was very familiar with all of the homes we looked at. She was patient with us and listened to our likes and concerns. She made the purchasing process easy and took care everything for us as we are from out of town. We appreciate all she did for us!! Michelle was very helpful and took the time to answer all my concerns. Michelle Waldron helped us purchase our new home in Florida. She was always there with the answers when we had questions. I would recommend her highly to anyone looking for that perfect mobile home. Michelle Waldron was professional, poised and really took an interest in us as clients. She showed us the properties we requested, then showed us ones she thought we would like which we ended up buying. I have already recommended her to my friends and will continue to. She is an excellent and personable agent. Michelle Waldron was our reator and was terrific..all went very smooth. Michelle Waldron worked diligently to find a buyer of my Mom's mobile home in Island in the Sun in Clearwater. I recommend all sellers in Island in the Sun in Clearwater to contact Michelle first. There were two things that stood out to me about Micheiie Waldron, and those were the care taken in the pre and post sale. In the pre-sale, the explanation of the items that were not very obvious were a great help in choosing a home. In the post-sale, the guidance that she gave in presenting all of the information needed to navigate through the process of living in a unfamiliar state. Sydney Ladner is very professional and knowledgeable, and most of all, she is very caring. We felt totally comfortable with her and that she had our best interests at heart. And, she did, from start to finish of the process. We can't give her enough praise! Sydney was awesome to work with, very friendly & very helpful in finding a place for me, I would highly recommend her to anyone looking for a home! Michelle was really great to work with also! It was a pleasure meeting and working with Michelle Waldron. Helpful ,great sense of humor. I love my new home! Michelle was very professional ,prompt with showing and attention to paperwork. Terrific person to work with. Not pushy, had my best interest in mind....not hers...I appreciated her help in finding my ideal new home. I highly recommend Michelle! You can trust her. Ready Steven MICHELLE Waldron provided excellent service, to my wife and l, buying property in Largo. In my opinion she went above and beyond of what she was supposed to do, when selling a property. If I ever sell my property in Largo Florida Michelle will be my first call. Michelle Waldron did a great job for us. She was very knowledgeable and attentive to our needs. We were back in Canada, but had no worries about our property. She kept working for us and kept us informed. And we ended up selling for more than we expected! 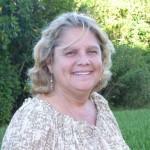 "I can not believe my luck finding Michelle to help sell my parents home in Florida! At a time when I was very emotional and forced to make that hard choice and place my parents in Assisted Living Michelle stepped up and took care of everything. I just can't explain the relief I felt knowing this was just one less thing I had to worry about. If ANYONE is looking for someone to help sell their property and they are concerned about finding someone that is honest and trustworthy and will go the extra mile for you, call Michelle, not only does she sell real estate, she takes care of families!! I highly recommend her." "Michelle Waldron was the key to selling our property. She is several years of experience and she is an excellent negotiator. She did everything for us and took the time to make sure our home for sold for the price we wanted." "When we decided to move to Florida from Ohio we had very little knowledge of the area. Michelle stepped in and handled everything for us. "When we decided to move to Florida from Ohio we had very little knowledge of the area. Michelle stepped in and handled everything for us. She is very professional and made the transition easy for us. I definitely recommend her services to anyone trying to buy a place in Florida." "She told me she could sell it and get my price. I wasn't sure she could but I gave it a go and... she did it! Didn't take very long either! She is a real go-getter and did a great job." “Michelle was a very knowledgable, curtious, and patient. She had a lot to deal with with the property manager of where we sold our home. “Michelle was a very knowledgable, curtious, and patient. She had a lot to deal with with the property manager of where we sold our home. Michelle dealt with her with more patients than anyone should ever have to have. We referred her to someone else wanting to sell and she is now the listing professional for that property. If we ever sell again, she will be the first we call.